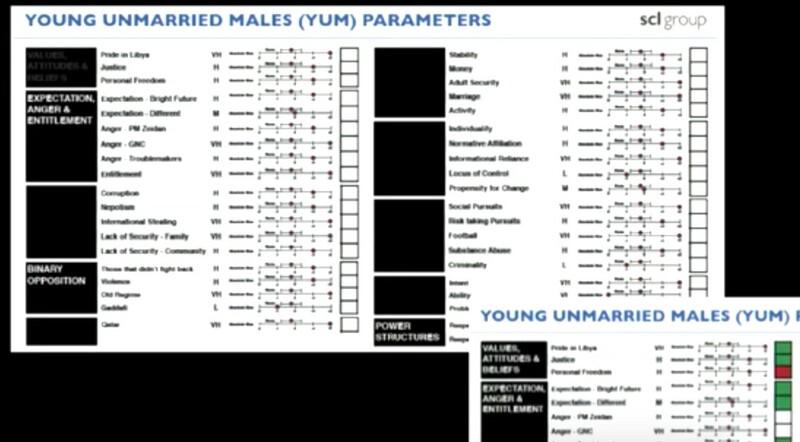 A traffic-light system to “influence” young unmarried males in Libya (source: Nudgestock 2 Festival, at 13:32). Now that Trump, his SuperPACs and even their vendors have got a ton of data on every American, what could they do with that? 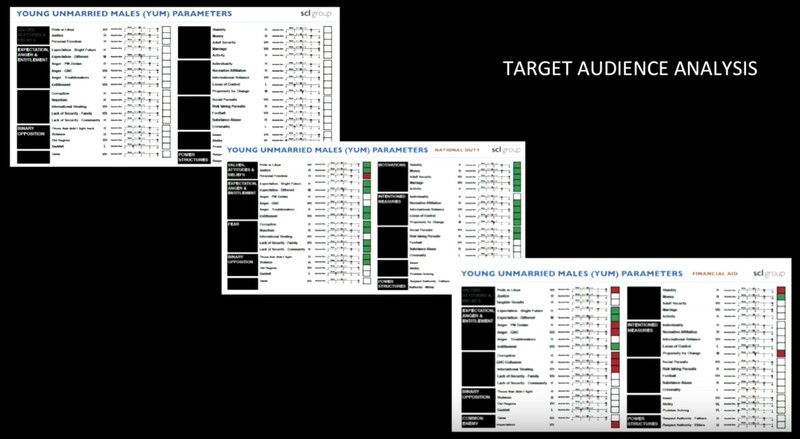 We look at the PSYOPS dashboards that have been built by the same vendors to manipulate populations in Libya, Afghanistan and countless other countries. It has been widely reported that the Trump campaign used a company called Cambridge Analytica to help with voter targeting. That company boasts of having thousands of data points on every American, which helps with their micro-targeting of messages based on psychological traits. Thanks to millions of donations, Trump has built up a separate database of supporters, and their interactions with the campaign (rally attendance, donations, retweets, surveys, focus groups, etc). However, the actual targeting of a message is only just the endgame if you want to influence or manipulate a whole population. Indeed, Cambridge Analytica’s parent company, SCL Group, has taken its name from the whole field of study: Strategic Communication Laboratories. This group has a variety of affiliates, such as SCL Defence or SCL Elections, that have offered services in countless countries . It also has its own think thank, the Behavioural Dynamics Institute, ultimately responsible for formalising the methodology, and even a(n Information Operations) Training & Advisory services branch, IOTA-Global. 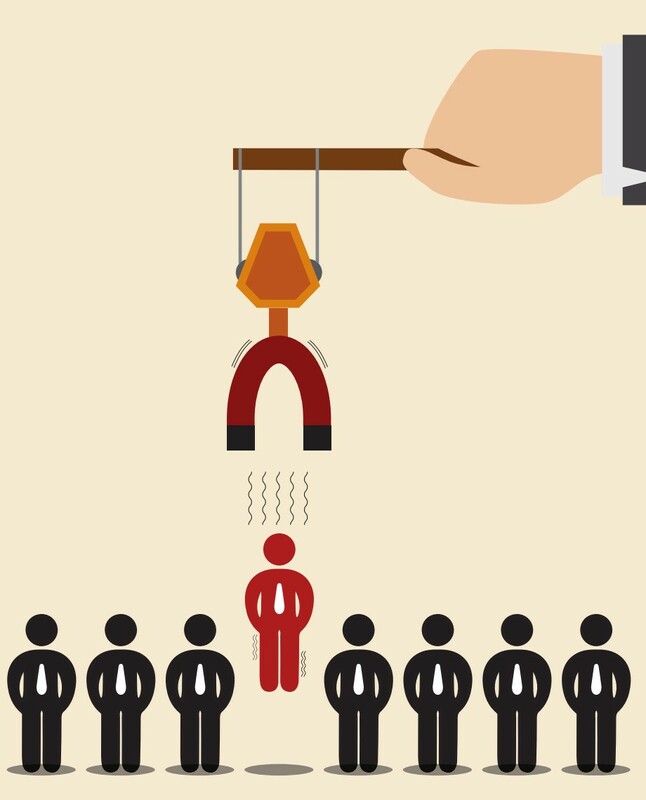 Influence: capacity to have an effect on the character, development, or behaviour of someone or something, or the effect itself. Manipulate: control or influence (a person or situation) cleverly or unscrupulously. Define your Intervention Strategy, which could be, depending on your local context: a social media campaign, giving money to select audiences, spreading disinformation to gullible voters, spreading disinformation to destabilise longstanding alliances, foster horizontal discussion within audiences, killing someone, commit a terrorist act, etc . Thoroughly define and collect metrics to make sure your actions actually get you closer to desired objectives (in particular, there are different tiers of Target Audience Analysis that are possible, depending on how granularly you are able to collect data on the effectiveness of the campaign). This methodology is declined into a range of services offered by SCL Group, for each specific step, and tailored to local technological sophistication. 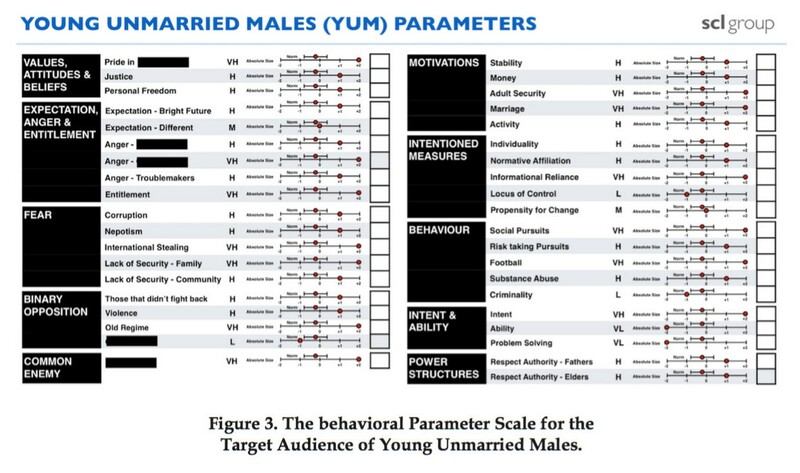 One crucial factor for audiences is that they be self-identifying social groups, because behaviours (and attitudes) are determined by the social context, and therefore can be expected to be more monolithic and more easily triggered. Cultural diplomacy directed at Chinese people is likely to fail, and so too is cultural diplomacy directed at Chinese males aged 18–32, because that is an externally-imposed demographic category, not a self-identifying, cohesive group. Far more useful is cultural diplomacy aimed at Netizens, because they have a shared culture. — Behavioural Dynamics Institute evidence submission to the House of Lords. In Western democracies, we can go much more granular than “Chinese Netizens”: the digital research firm comScore, for instance, tracks Breitbart traffic but also the Breitbart audience itself. It is then happy to resell that personal data to Cambridge Analytica in order to customize TV ad buys for the Trump campaign (screenshots of the tools available upon request). In other words, where people read and watch affects on which TV shows Trump ads were shown. PSYOPS specialist, IOTA-Global Director of Operations and SCL Defence Director talking at “Nudgestock 2” conference about his work in Libya. So far, I don’t think anything is very controversial or surprising. But then, I found some dashboards that gave me pause. It’s one thing to imagine all the men and women working to conduct this whole process. It’s another to just see dashboards with a lot of this methodology formalised, knowing they represent the complexity of millions of individual lives obscured behind a few gimmicky buttons. There are two ways to understand the quantitative information on each scale of dashboards A and D. Each time, there is a point with two tick marks, and a second, separate point. The first possibility is that the point and tick mark could indicate information about the whole population, while the additional point is for the specific audience. 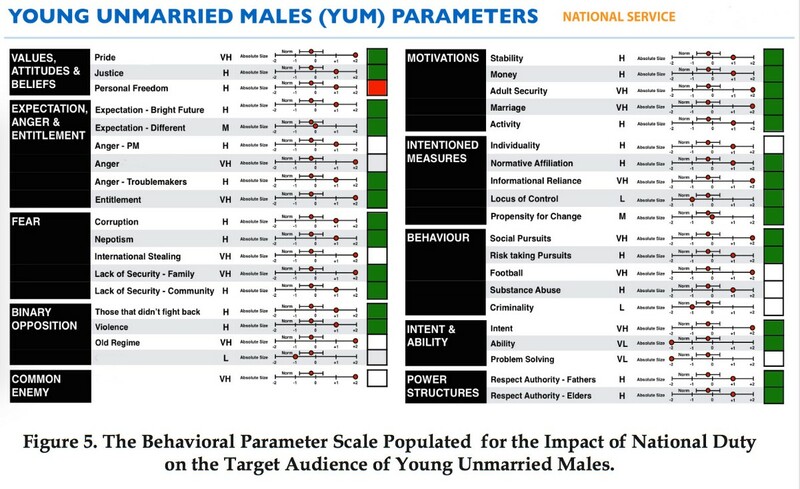 The second possibility is that the point and tick mark indicate this specific audience with its variation, and the additional point is for outcome desired by the U.S. Since the first option brings a lot of useless redundancy in those dashboards, I believe the second option is correct. If that is true, it would have some large consequences: the U.S. wanting to instil pride in Libya within that audience, but also stoke anger against existing institutions (Prime Minister, General National Congress), the Old Regime, and Qatar, the common enemy. It would also seek to stoke fears within that audience: of corruption, international theft (away from Libya), and generally a lack of security (for their family). Dashboards E and F then show how the U.S. could go about achieving these objectives, and compare two possible courses of action: institute some form of national service, or offer some financial aid. 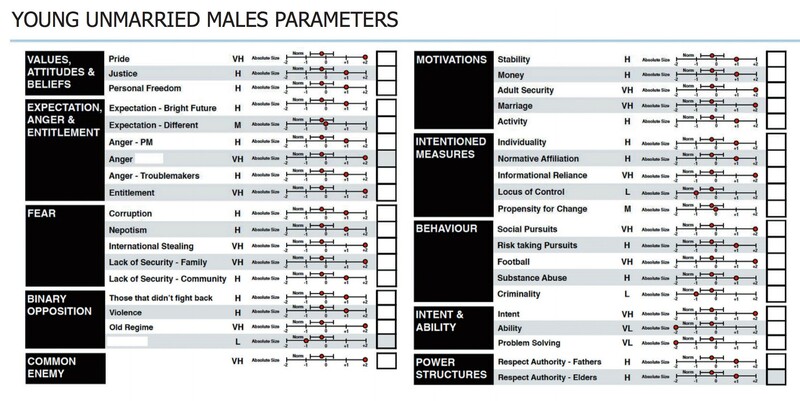 Through a traffic light system, the analyst can summarise the effectiveness of each action regarding each objective (this could be derived from a survey). For instance, if young adult males are offered financial aid, their pride in their country will decrease, which is against the objectives. Forcing them to go into a national service will have the opposite effect. In , I introduce some factors used in designing those dashboards. 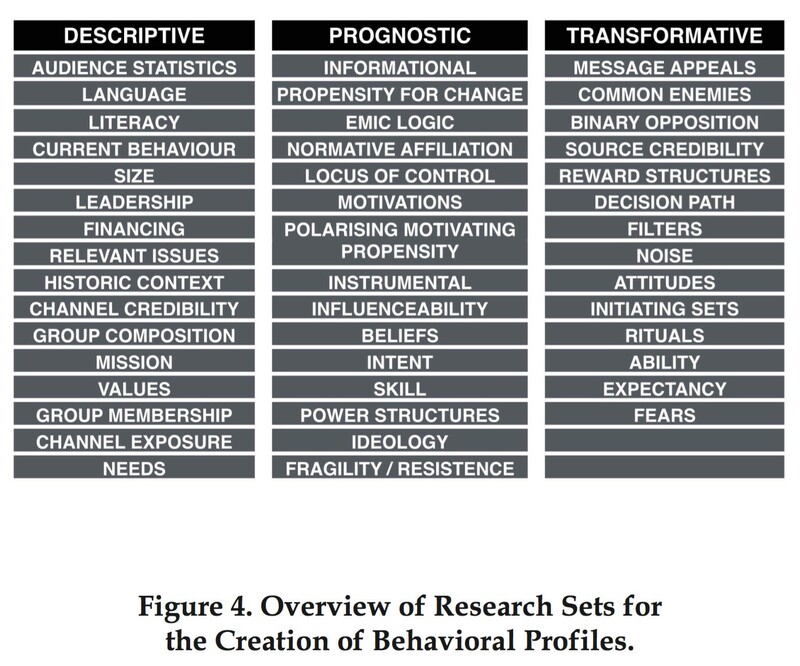 These conclusions are derived from a wealth of research conducted and synthesized by the Behavioural Dynamics Institute, including the study of primary research data gathered by our commercial partners SCL in consultancy projects across more than 50 countries. In other words, these projects in Afghanistan, Libya, etc help refine the research, the methodology and the tools, which are then theorised at the BDI and resold through SCL. Technically, in Western democracies, a huge amount of feedback could be made to flow back to the dashboard (social media metrics, for instance). It could be that every single indicator in those dashboards is the result of a computation spanning millions of tweets, for instance. 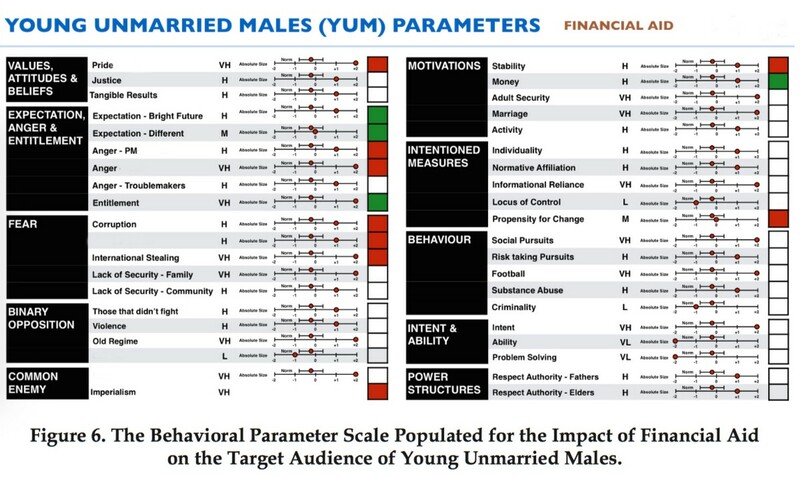 I now turn speculative, but what is described here makes me worried about a turnkey-PSYOPS : if you bring along enough data, and integrate enough tools, one could construct similar dashboards that on a daily basis would monitor, move or keep the different audiences exactly where you would want them, in terms of fears, behaviours and emotions. If you think about it, you don’t even really need all the dashboards to be integrated in one place. A fragmented media ecosystem, each talking to a specific audience and optimizing for its own metrics is enough, as long as you have a way to integrate identities across audiences, and reach back to individuals (social media buttons do exactly that). Hence, one very effective way to do all this, regardless of ultimate intent, would be to bypass “media professionals” by creating alternative media outlets for each of the targeted audiences. The cherry on the cake would be to treat the mainstream media as a separate audience, itself subject to your manipulation. Indeed, by playing on their own anxieties (for instance with social media metrics or fear of partiality), the discussion could easily be steered exactly where and when you would want. Of course, the above paragraph could refer to either Putin and/or Trump (via Mercer, who funded Breitbart). Both could have done or could do this, and use all kinds of data or information (generated themselves, even if nonsensical, false, stolen, etc). What kind of responses should we expect from other countries to such actions? Well, it turns out that SCL has a solution on hand! That’s an intense schedule for a course, really. One of the core actors in all this, Steve Tatham (former UK PSYOPS, Director at SCL Defence, former Director of Operations at IOTA-Global) has written an article titled “The solution to Russian propaganda is not EU or NATO propaganda, but advanced social science to understand and mitigate its effects on targeted populations”. I will let you read for yourself (I don’t know what to make of it). On one side, Putin is said to apply the old Russian playbook in propagating false stories (or even contenting himself in people believing he could). On the other side, Trump is about to get the key to all the NATO apparatus, and has direct access through his donor Robert Mercer (rumoured owner of Cambridge Analytica) and his campaign to many of the same tools. Both sides are reaching completely new scale in efficiency and accuracy at manipulating opinions. Trump’s digital campaign director, Brad Parscale, was just announced as a speaker at the Summit on Strategic Communications, held in Arlington Virginia, and sponsored by Bell Helicopter, a shipbuilding company, and Northrop Grumman. Thanks for reading! I am Paul-Olivier Dehaye, a mathematician at the university of Zurich, and the co-founder of PersonalData.IO. I have also written about the micro-targeting of “low information voters”, and contributed background research to a long-form article on the data collection efforts of Cambridge Analytica. See also here for a summary of SCL Group’s PR about past projects. The actions need not be purely related to information, and even if they are the information could be (a mix-and-match of) shocking, false, stolen, ambiguous, enthymematic, ironic, or crowdsourced information. For instance, the for-Brexit campaign was announced from the start to be a horizontal campaign, with voters talking to other voters. The campaign was originally financed by Aaron Banks and masterminded by Gerry Gunster (based on data collected by Cambridge Analytica, represented in this video alongside the other two by Brittany Kaiser). I also found two more dashboards, copy/pasted below. Dashboard G seems to be very resemblant to Dashboards A and D, while Dashboard H seems to resemble Dashboards C and F. Here some parts are whited out, slightly differently to the other dashboards, but there is little new information. This is a reference to turnkey-tyranny, which Snowden talks about a lot. Based on the information available here, one should be able to do FOI request for a lot of information about those courses. I have one in for Norway, but would love it for journalists to try Baltic, Slavic or Scandinavian countries, as well as Canada (you need to be Canadian or Canadian resident).